BRYAN EATON/Staff photo. 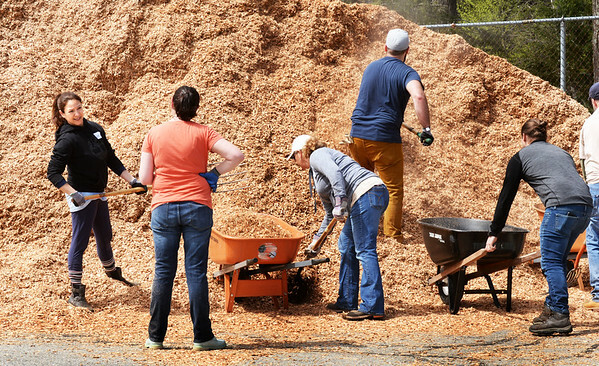 Volunteers from Timberland attack a huge pile of mulch at the Seabrook Recreation Center on Thursday morning. The 65 volunteers were sprucing up the landscaping in area, pulling weeds, raking and spreading the mulch around the playground area.